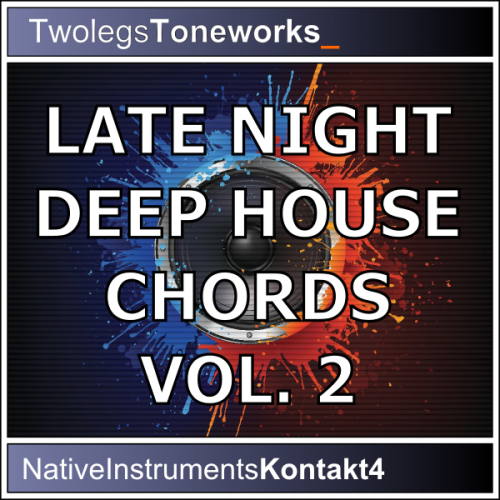 ‘Late Night Deep House Chords Vol 2 For Kontakt’ is the second Volume in this fantastic series, bringing you even more chord sounds and chord variations. These deep chords are suitable for a variety of House and Techno genres but also lend well to the Soul-inspired Funky Garage genre. Volume 2 contains a completely new set of 18 main sound sources created from scratch using a variety of software and hardware synthesizers, including the famed Virus TI, the gritty Waldorf MicroQ, the smooth u-he DIVA, the fat u-he ACE and the dirty frequency manipulator FXpansion Cypher (DCAM).